Once considered a trend, skinny jeans have now transitioned into a classic style and wardrobe staple. A quick, go-to item for off-duty days, they can easily be thrown on without a second thought. Although that simplicity makes them an essential item for every woman’s closet, it also makes them vulnerable to getting caught in a style rut. If you’re guilty of consistently pairing your skinny jeans with the same T-shirt, it may be time for some styling inspiration. You’ll be amazed at just how chic and current your skinnies can look when worn in a new way. 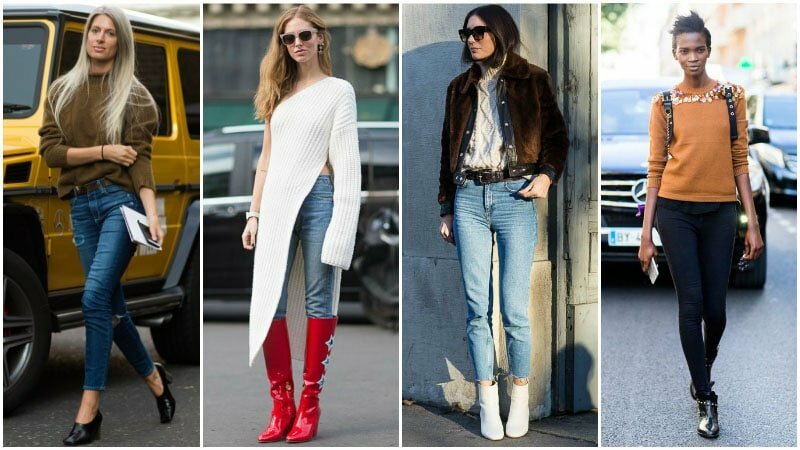 If you’re stuck in a style rut when it comes to your favourite skinnies, mix things up with these chic ideas. Forget that basic t-shirt and flip-flop combination and try something new instead. 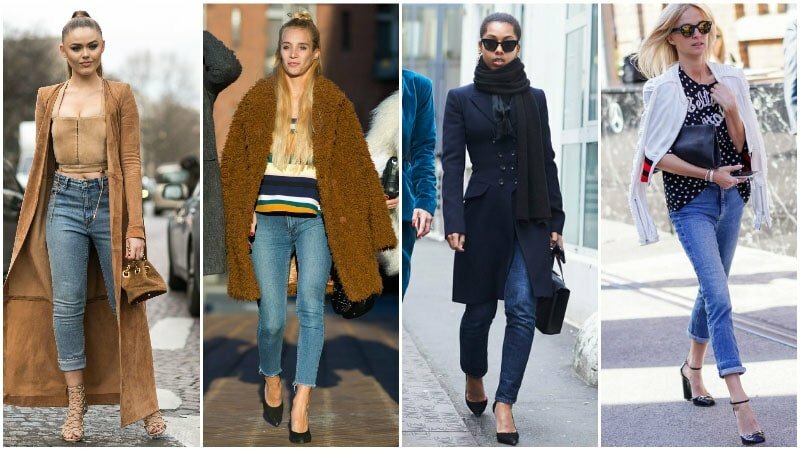 From pops of colour and blazers to booties and heels, here’s how to style your skinny jeans. To add a quick injection of new life into your old skinny jeans, style them with a pop of colour. Bold hues, such as red, cobalt, fuchsia, and gold, can be just what your outfit needs to take your look from drab to daring. 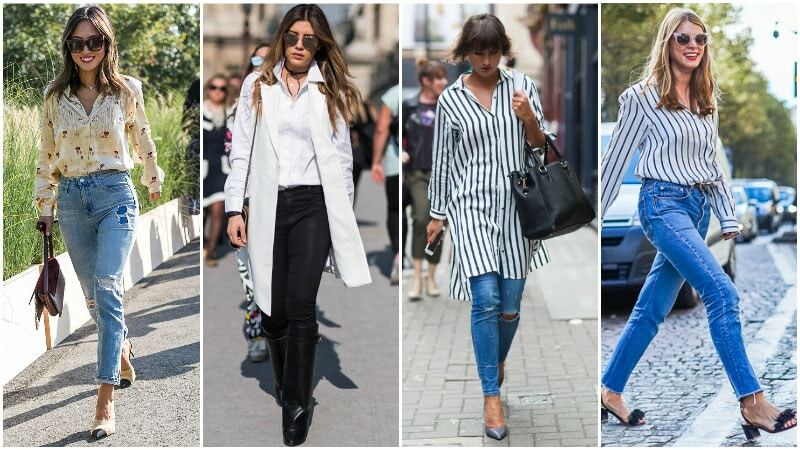 Pairing skinnies with a shirt is a quick and easy way to take your jeans from casual to chic. The classic look of a button-down adds a sophisticated edge to denim that can easily work for smart-casual occasions. Needless to say, the combination pairs best with heels. Skinny jeans are a great style to wear in cooler temperatures. Not only do they appear incredibly chic with sweaters, but their slim shape helps to balance out the chunkiness of knitwear. Just add some boots and sunglasses for the ultimate autumn look. 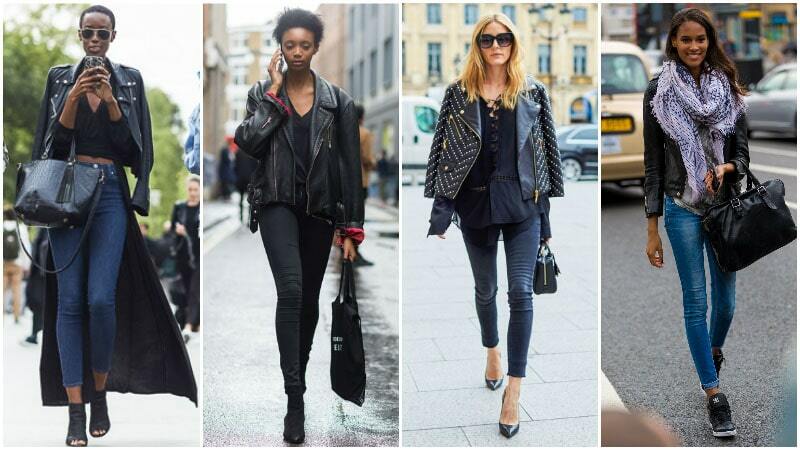 Recreate the quintessential off-duty model look by wearing your skinny jeans with a leather jacket. The trick to making this outfit work is to create a blend between edgy and chic. Keep things tough with a biker jacket, dark colours, and studs, but remain feminine with figure-hugging skinnies, a flowing top, and some heels. The combination of a tailored blazer with skinny jeans creates a sharp and sophisticated style. For a cool, casual look try styling the pair with a turtleneck sweater and boots. For something more dressy, high heels and a shirt will work best. The addition of accessories can instantly make any outfit with skinny jeans more stylish. Whether it’s a hat, scarf or sunglasses, these easy add-ons convey a level of effort and fashion that outfits without accessories often lack. They’re also a fantastic way to help adapt your skinny jeans to different looks, such as rocker, bohemian, and vintage styles. Creating a stylish outfit with your skinnies involves choosing the right shoes to wear. Whether you wear boots, heels or sneakers will depend on the look you’re aiming for. Wearing your skinny jeans with booties creates a stylish look that sits between casual and more dressed up styles. Perfect for keeping you warm in colder temperatures, booties and skinnies partner excellently with statement coats. Rocking heels will instantly elevate your skinny jeans to a higher level of dress. Perfect for both day and night, the combination creates an outfit that is both sophisticated and casual. Try pairing the look with a striped T-shirt and tailored coat or blazer for a chic take. For the ultimate in casual fashion, partner your skinny jeans with sneakers. 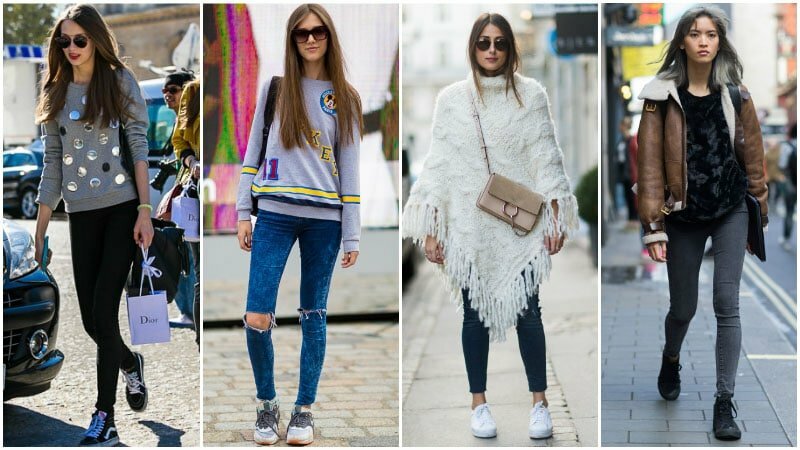 Sneakers are having a major moment, thanks to the athleisure trend, and can give your skinnies a fresh, sporty edge. Just add a casual jumper and a backpack to finish off the relaxed, weekend look. Skinny jeans can suit every woman as long as she picks the right pair for her body type. Whether you’re shaped like an hourglass, pear, apple or banana, there’s a pair of these body-hugging, narrow-legged jeans out there for you. All you need to do is find out how to choose the most flattering type for you. Women who are shaped like an hourglass feature a similar width at the bust, shoulders, and hips with a defined waist. To ensure you only buy the most flattering skinny jeans for your body type, look for pairs where the waistband sits comfortably. It should fit snugly without gaping or feeling uncomfortable when you move or sit. Also, opt for styles that give enough stretch to fit perfectly around your curves and ensure they’re good quality and won’t sag or loosen. Banana body shapes feature a straight torso with the hips, waist, and shoulders all roughly the same size. While this body type has fewer curves than the other silhouettes, skinny jeans can be used to help create shape. Try experimenting with different brands and fits until you find your most flattering style. Details, such as back pockets with embellishments or stitched designs, can also help to create the illusion of more curves. 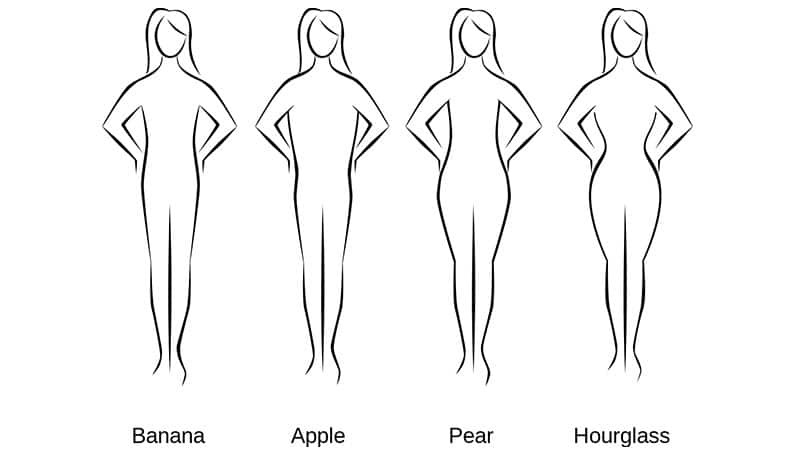 Women with apple body shapes tend to be wide at the hips, waistline, and bust, and have a rounded stomach. Although they have round torsos, their legs can be any size, making it often challenging to find skinny jeans that fit. To narrow down your search for the most flattering skinnies, opt for high-waisted styles that sit neatly in line with your belly button. This shape will help to smooth out your silhouette and create waist definition. Also, keep an eye out for dark washes as they tend to be the most flattering to your body type. Pear silhouettes are smaller on top and larger down the bottom. Women of this shape often have narrow shoulders and bust with wide hips and thighs. The challenge of choosing skinny jeans for this body type is finding a pair that accommodates your legs and hips while being the right length. Often pear shapes fall into the trap of buying a larger size to fit their thighs but end up with jeans that are too long and bunch at the ankle. To combat this issue, look out for brands that offer different length options, such as short, regular or long. Find the right skinny jeans for you based on your body type. Add accessories or a pop of colour to make you skinny jean outfit instantly more stylish. 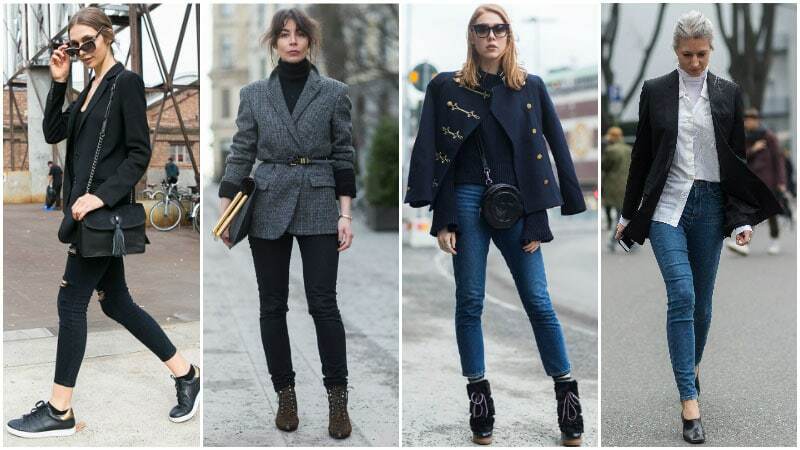 Wear your skinny jeans with a shirt, blazer, and high heels for a smart-casual appearance. Choose between pairing your skinny jeans with booties, heels, and sneakers depending on the look you’re trying to achieve.